Do not believe in the status quo and the establishment. Embrace and bring about the change.Every second our body is going through many transformations. So is the mind. Male chauvinism is not something which one should tolerate.It is a social evil that should be fought and defeated.Social Media is place where the general thought of the society gets exposed. 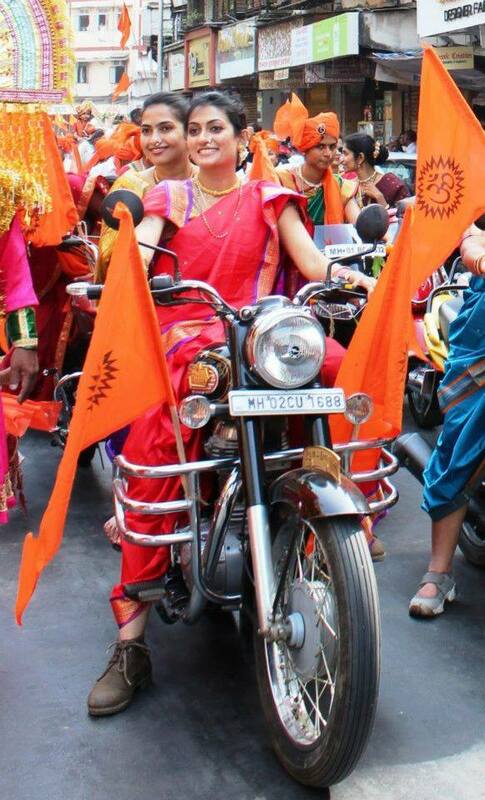 Tripthi Desai is a woman activist who storms religious places of worship where women are restricted.In response to her, her detractors photos of her holding a glass of beverage.They spread it as she consuming alcohol at a party. Some men do regard that they have exclusive right to drink alcoholic beverages.They show animosity when a woman drinks it.In a country where you can legally buy booze, it is not a criminal offence for women to buy booze and drink it in their private homes or hostels.You and I have no business in their privacy. Another private symbol of pride of the Indian male is the Royal Enfield Motorcycle. So I call upon all young girls to try learn to ride one.As a man, I can assure you..this is one of the best blow to our male chauvinist tendencies.It won't be that easy to ride like Hero Pleasure scooter but definitely possible and worth the try.